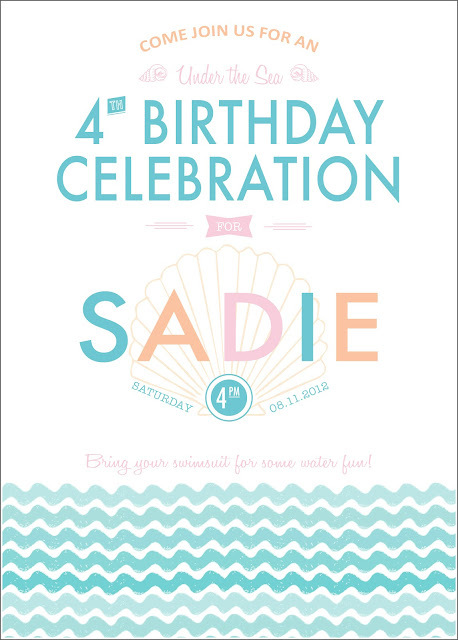 Sadie’s Under the Sea party! I mentioned it was probably going to be hot again…soo….yeah it was. 🙁 Not as bad as Charlotte’s party, but still in the high 90s. With a lot of help from my sister Julia, Rory’s parents, my parents, and Rory of course, it was a success! I managed to forget my camera, but my dad had his on him and luckily he has way more lenses and fancy gadgets than I could ever dream of. I am a total control freak though and so bossed him around (and stole it a few times) to get the shots I needed. (still missed some oh well!) Thanks for putting up with me, Dad. Anyways…here are the party deets! 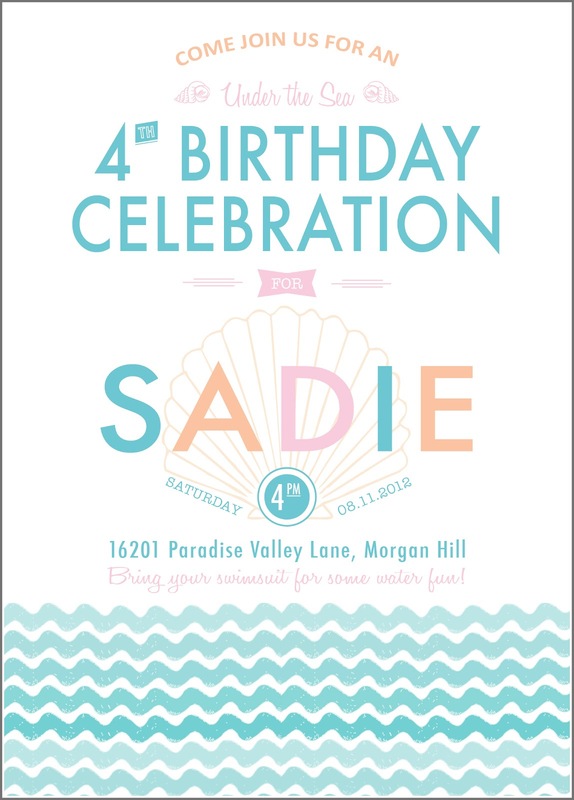 Her invite was designed by my good friend Tara from Paper Patch Ink…so adorable, right? The waves are ric rac! Let’s start with the food table. I made another rag garland and I think it turned out really cute! I love the starfish fabric! I covered the tables with white tablecloths and nets from the dollar store over the top. 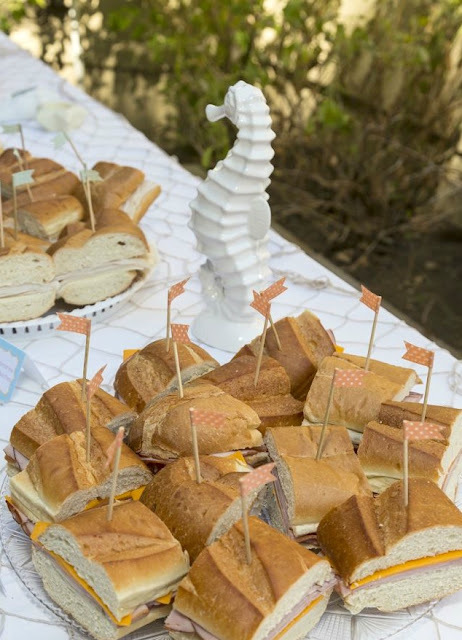 We served “sub”marine sandwiches-complete with color coded washi tape flags. Roasted turkey and provolone, and ham and cheddar. (we also had some lettuce and tomatoes but didn’t get a pic. I snagged that fabulous seahorse at Ross a few months back for a few bucks. 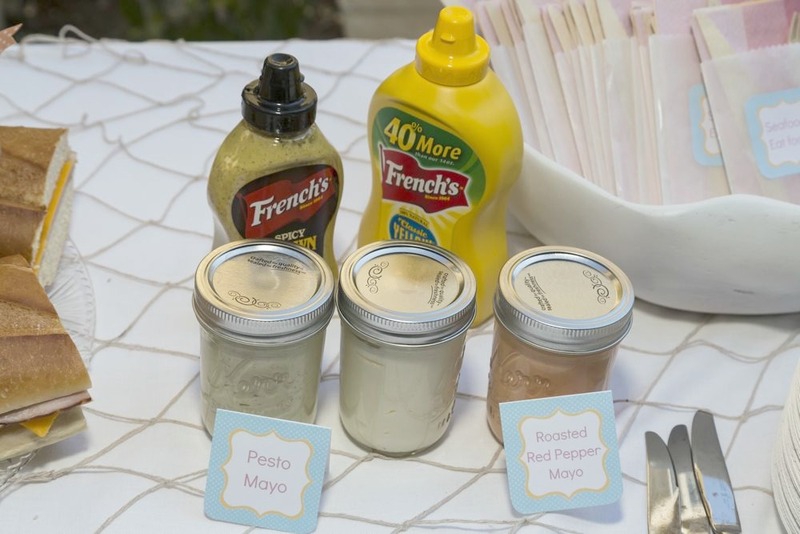 I made some fancy mayos-the pesto one was really good! We Julia made Peanut Butter and Jelly-fish sandwiches for the kiddos! 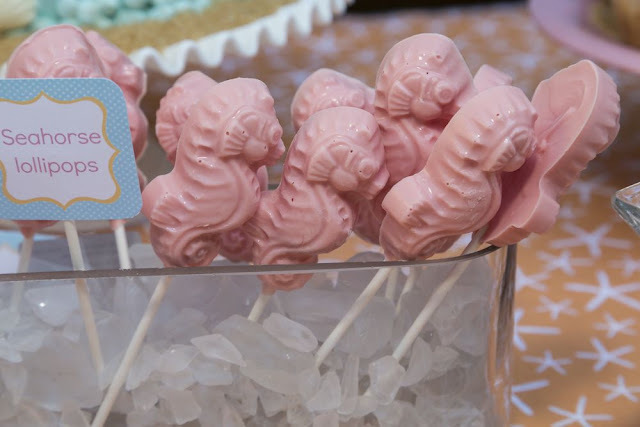 She cut them into fish shapes with a cookie cutter. You can also see a few starfish/shell thingys I picked up thrifting behind the tray. I bought some pink bags and filled them with Sea Salt chips and “Sand Dollars” aka pop chips. Can you tell I had way too much fun with the food names? Wait, it gets better. Or worse, depending on your opinion on cutesy food names. 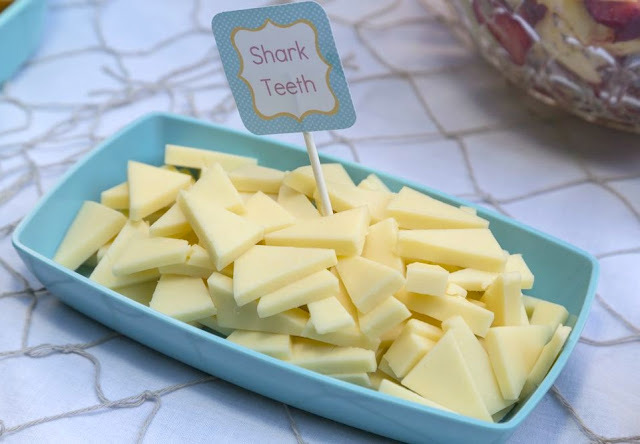 Cut up cheese became shark teeth! (thanks to my friend Delia for that cute idea!) Crooked sign alert. 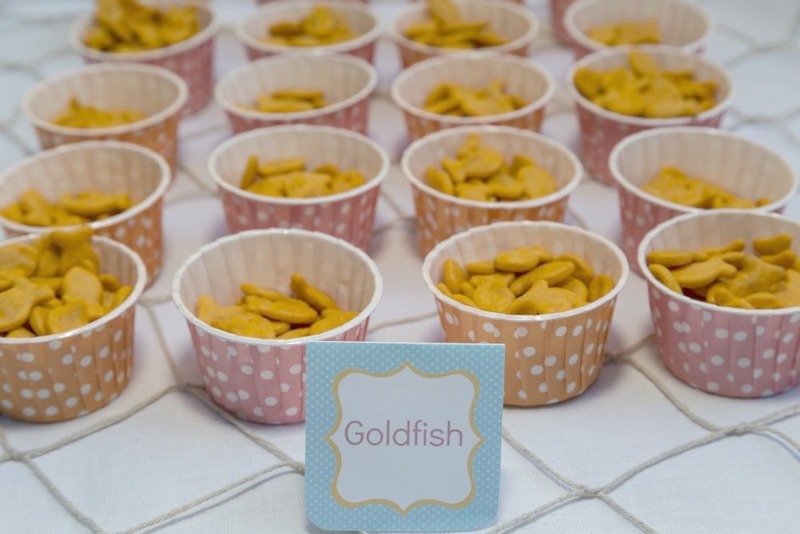 You gotta have goldfish crackers at an under the sea party, right? Served in little polka dot cups. 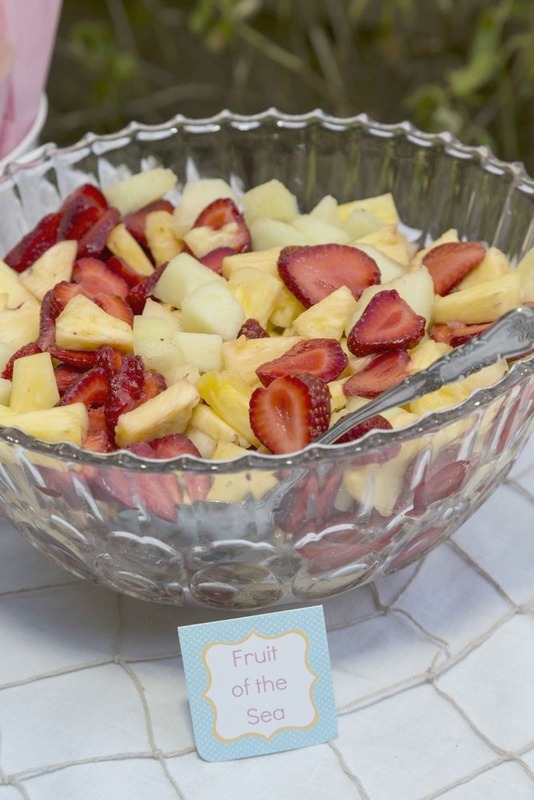 Fruit…of the sea salad. My mother in law made this, thanks Nora! 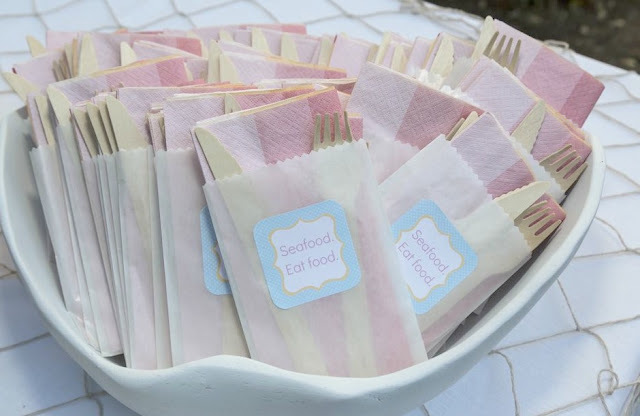 I packaged up some wooden utensils in glassine bags with these awesome ombre napkins I found on Target clearance a few weeks ago. I added the label on front and thought I was so funny. (it’s funny right? if not just pretend it is, mmkay?) I spray painted this giant clamshell bowl I found thrifting and set them in it. 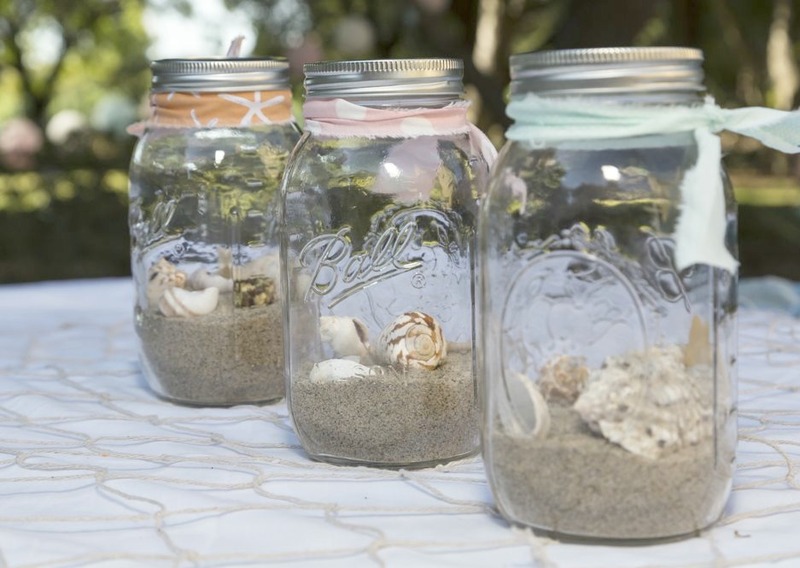 I got some big mason jars and tied some fabric around top, then filled them with sand and shells for pretty and simple centerpieces. 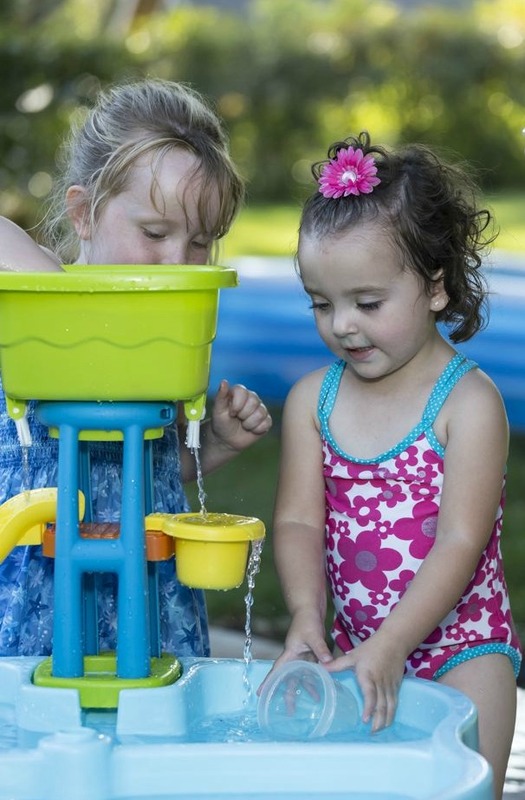 The kids had a blast in the water-we had two pools, toys, and a water table set up to play with. One of TWO (not joking) pictures my dad got of Sadie smiling…she is such a stinker sometimes! 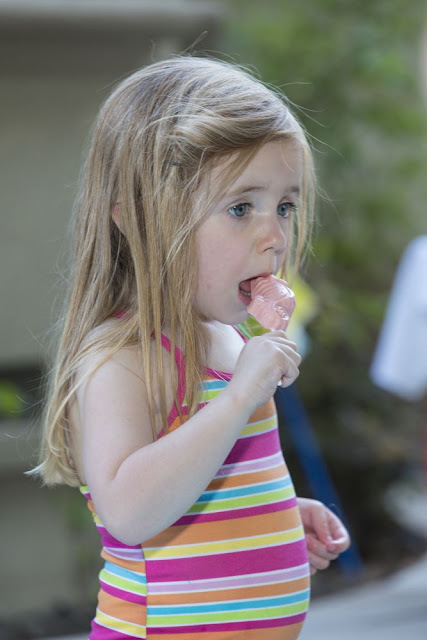 I think she had fun playing with her friends and gorging on sweets. Don’t worry…the sweets are a-comin’! I made the backdrop with plastic tablecloths, streamers, and a banner I designed and printed out, then strung up on ribbon. I designed all the labels as well. The cake! This was by far my favorite thing to make for the table! It was pretty darn easy too. You can see my inspiration cake here, btw. It’s my normal chocolate cake, and I layered and stacked it (obviously), then made chocolate coral from melting chocolate (topped with various sprinkles) and piped “bubbles” with extra frosting. Sadie wanted to add some extra shells from the cupcakes so we put some of those on too. Around the bottom I poured on some raw sugar to look like sand! A close up of some coral. I really need to work on my frosting smoothing skillz. It makes it look like waves? Yep, we’ll go with that. 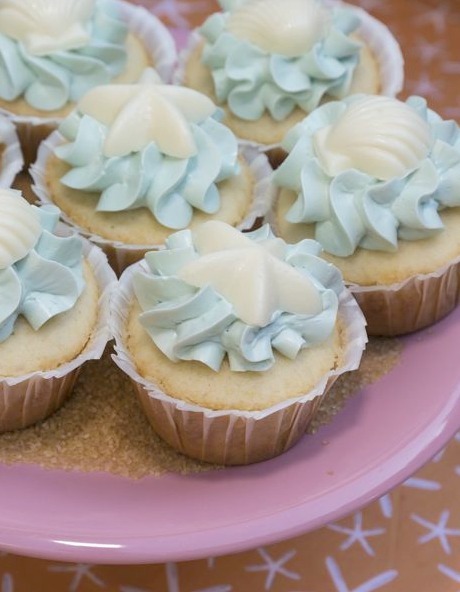 The cupcakes are simple vanilla with swiss meringue buttercream (same frosting as the cake) and little chocolate seashells on top! Of course I had to get saltwater taffy! I also got orange creamsicle ones but didn’t get a shot. I thrifted those plastic seashell bowls, can you believe it? $1 each! Pink sixlets became rare pink pearls! Also Sadie and I made some strawberry white chocolate seahorse lollipops! Which didn’t stand upright in the sea glass so well. 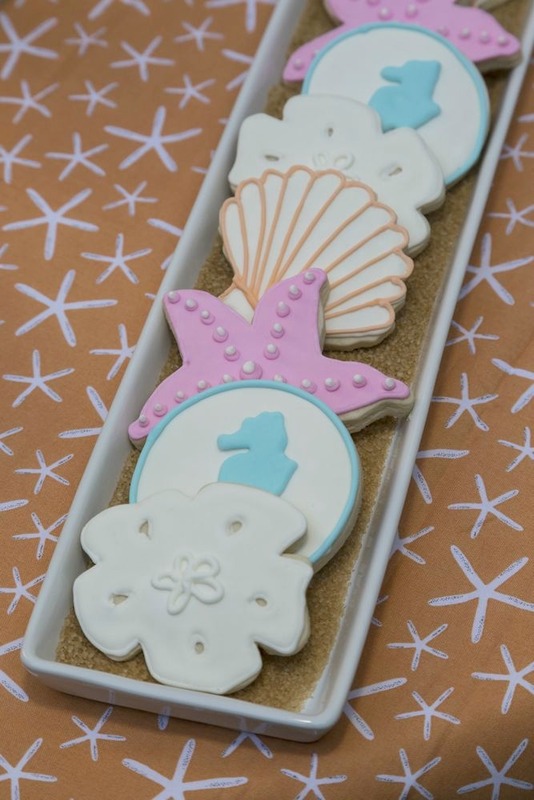 I of course had to make some under the sea cookies-sand dollars, seashells, starfish, and seahorse silhouettes. (pardon the iphone pics) My sister made a balloon garland which we hung between two trees, and then I added some of the jellyfish we made using paper bowls and ribbon! The favors were muslin bags which I dyed blue (a little darker than I wanted, oh well! ), and then stamped bubbles on the front. 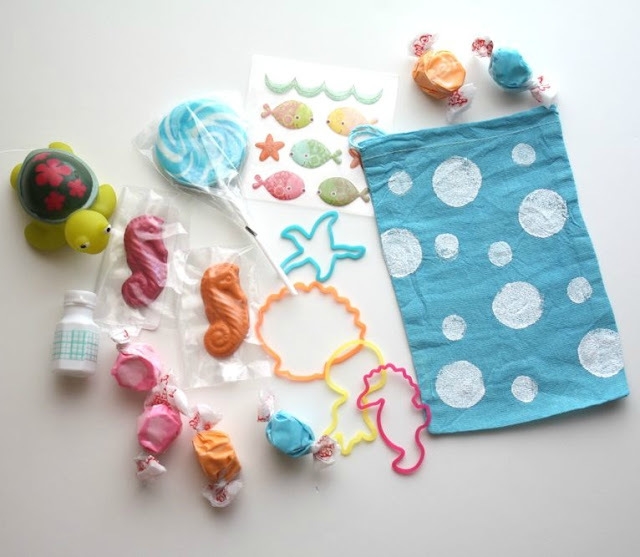 Inside the bags were salt water taffy, bubbles wrapped with washi tape, ocean silly bands, blue swirl lollipop, sea creature squirt toy, stickers, and seahorse shaped crayons. Fun times were had by all, and I’m glad it’s over…I need to stop picking the hottest weekends to have my parties. Grrr. ohwell! At least this next kiddo is a November birthday! I also downloaded a bunch of ocean/beach themed songs to have playing during the party, so here’s the play list below if you need some ideas for your own under the sea party! Seriously Jess how do you find the time?? This is so amazing! I love the octopus paper plate’s. 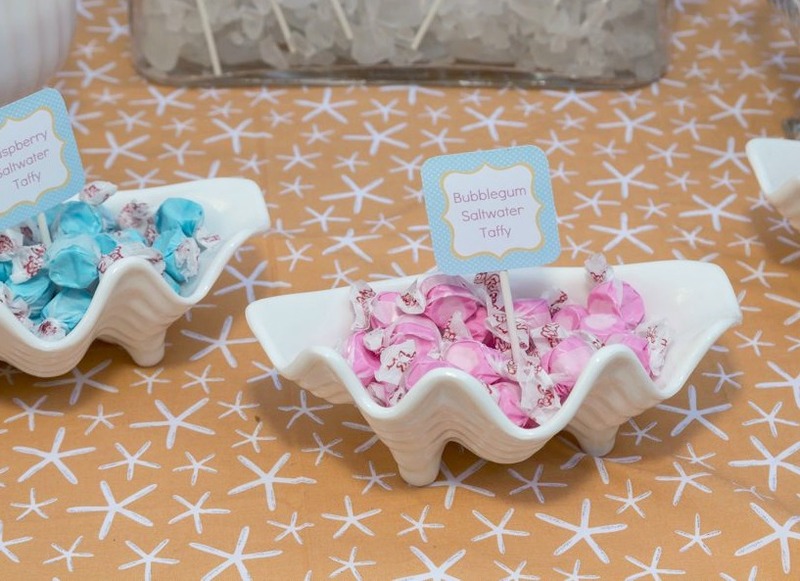 You are such a wonderful party planner, thanks for sharing another great one. So impressed & so much love put into the party. Thanks so much for the supply list! Great reference for future party planning! I loved all of this! And I really like the cake, it looks better without perfectly smooth frosting to me. This whole post is being pinned to my pinterest board! Oh my goodness! What a darling party you put together. I love it all!! What a lot of work went into it. Impressive and so gosh darn cute! I love every detail Jess. You are amazing. Sorry about the heat, you are a stronger woman than I will ever be. Holy cow, dude. Holy cow. 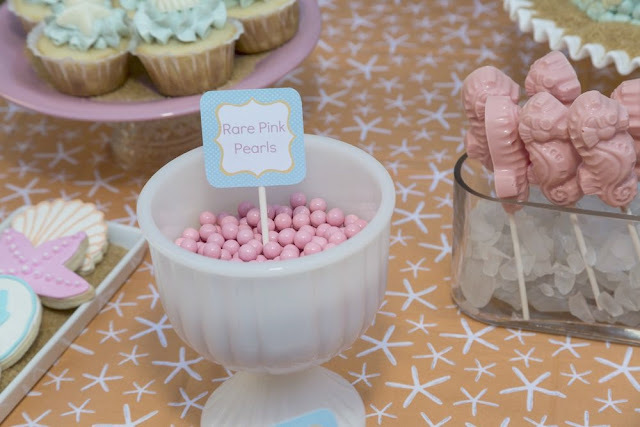 what a super cute party =D lots of creative ideas! Soooo cute! Loved it! You are so talented and have the cutest ideas. Thanks for sharing your creativity! You really are amazing! 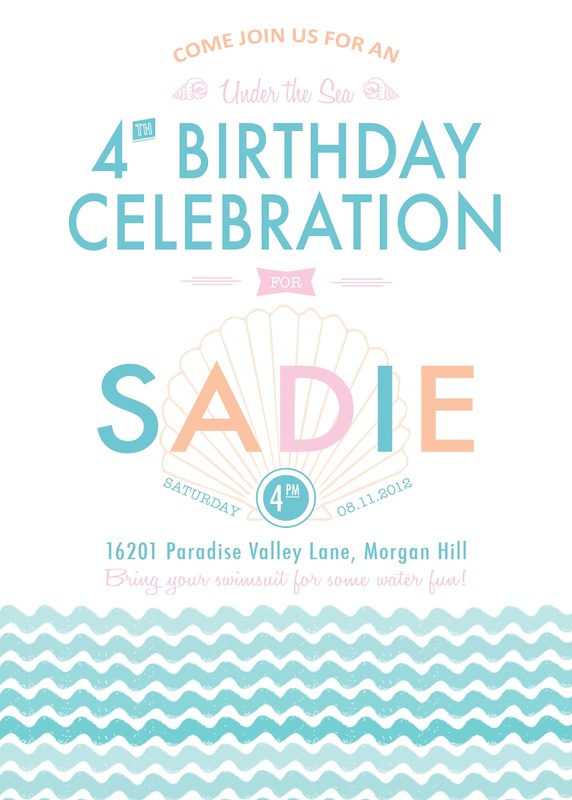 I’m pretty sure that you put more work and thought into Sadie’s party than I put into my wedding! Wow! That was a gorgeous party! I’m pretty sure you are super Mom! 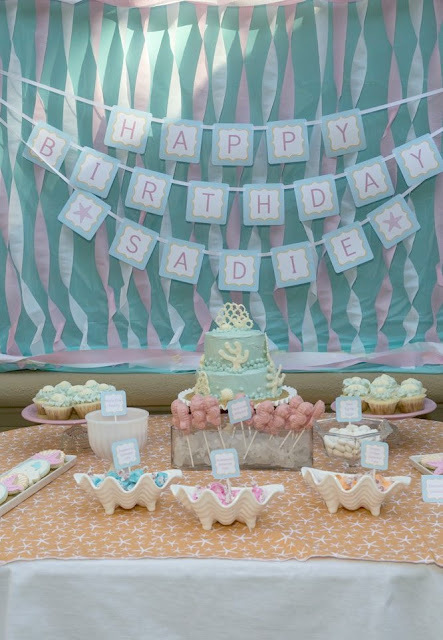 We just celebrated my girl’s 1st birthday and it was so much fun to prepare all the decor and details! You plan the best parties! Not over the top, but still filled with so much awesomeness (yes, that’s a real word!)! Thank you for sharing, wonderful ideas!!! 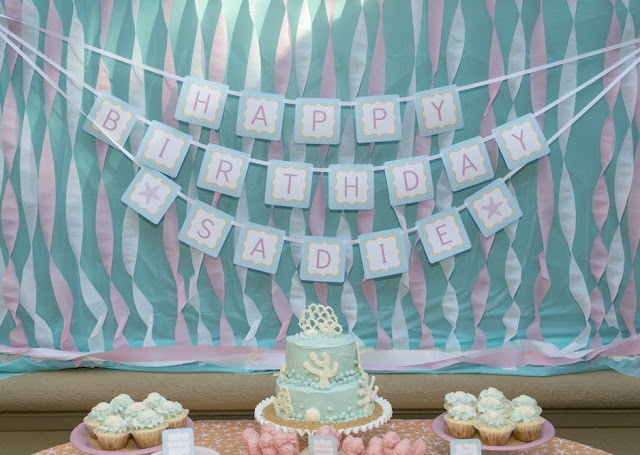 Such a cute party, happy birthday Sadie! Love it! Parties like this are one of the reasons I always wanted a kid with a summer birthday. Beautiful Details. Awesome!!! Thank you so very much for sharing her special day with us! 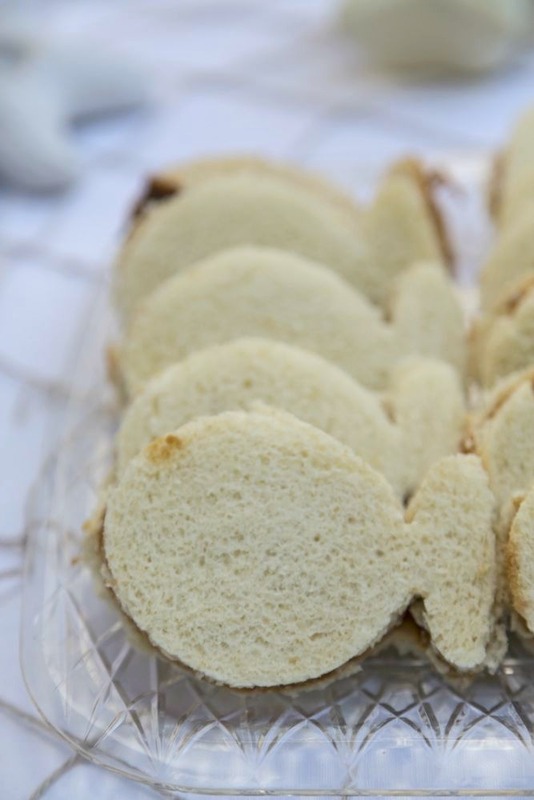 Love the fishy sandwiches, too cute! Happy Birthday to her! Are you kidding me??? First, I want to say you have NOT slowed down on the posting! Take a break girl! Second, the party decor, food, ideas, names for food are all AMAZING!!! I honestly don’t know how you find time to be mom, craft,sew,photo,post,blog…oh and be mom!! (I said it before!) And your pregnant! It all looks amazing! Now please take a break! What an amazing party. Everything looks so sweet. Well done! What a thoughtful Momma you are…such a great party! Great job on it all! I want to be four again and have this party! I love all the food labels, what software do you use to print/create them? Love it love it love it. I couldn’t believe it when I saw you start posting previews months ago on instagram, but I love how you throw yourself into party planning and I can just imagine you going, “OH! Sixlets can be rare pink pearls!” and having a great time doing it. Your’e such a good mama and I know Sadie must’ve had the best 4th birthday ever! Happy birthday Sadie! lovely party!!! Wow wow wow. I love it all! You are one talented lady! So glad Sadie enjoyed it. You are incredible – what an amazing party! 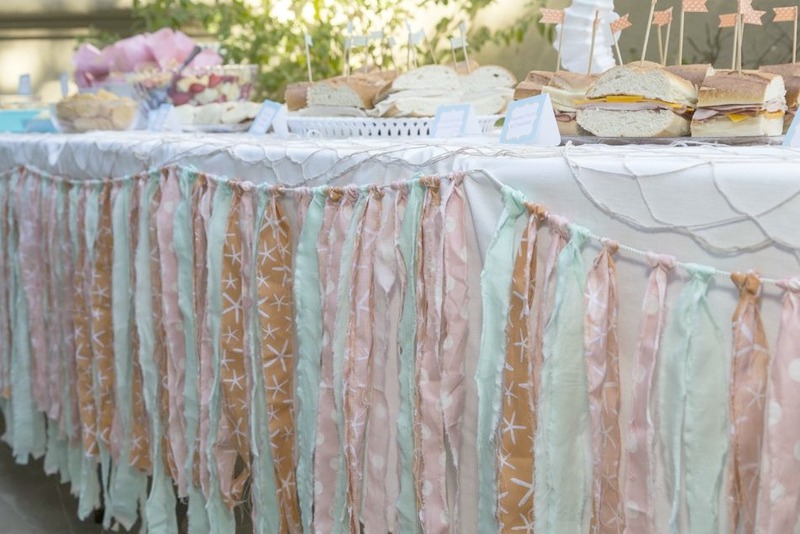 I love the fabric garland, and the cake is my favorite. I think it looks better as is than perfectly smooth – gives it more of a water texture! The coral is really cool. Thanks for continuing to be a total inspiration! So amazing and adorable, Jess. Olivia’s birthday is coming up fast. I finally got the invitations finished last night and I’ve thought of some fun activities. But still. It’s probably a good thing we don’t live close enough for the girls to go to each others’ parties because Olivia would be feeling totally ripped off. Haha. Happy Birthday Sadie! YAY!! I have been waiting for this post! I LOVE everything! SHEESH! I wish we could have been there so bad! 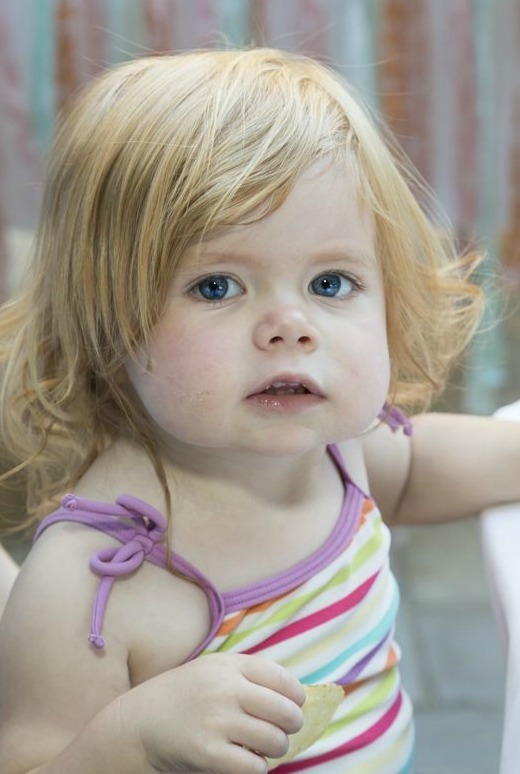 And we feel TERRIBLE for not calling Sadie yesterday!! We just got caught up with other things and next thing you know, it’s 11 pm. DARN!! We’ll call tonight! I hope she had the BEST birthday ever!! She’s a lucky little girl to have such cool parents to do such COOL parties for her!!! Good job! Everything is ADORABLE!!!! Love you guys! You are seriously amazing! This looks phenomenal!!! Thanks for the inspiration. Incredible! I don’t know how you do it all! What a wonderful party! I love all of your ideas and especially the food names. 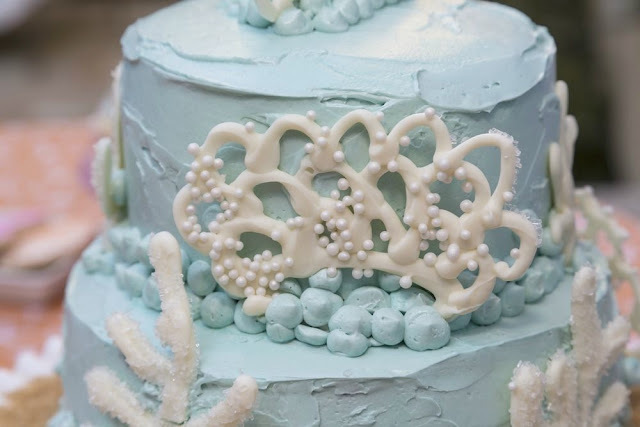 And how clever of you to make the icing on the cake wavy to look like water. 🙂 Adorable. Happy Birthday, Sadie! love love love it! your favor bags are FABULOUS and I die for all of the little details. You are one amazing Mom! 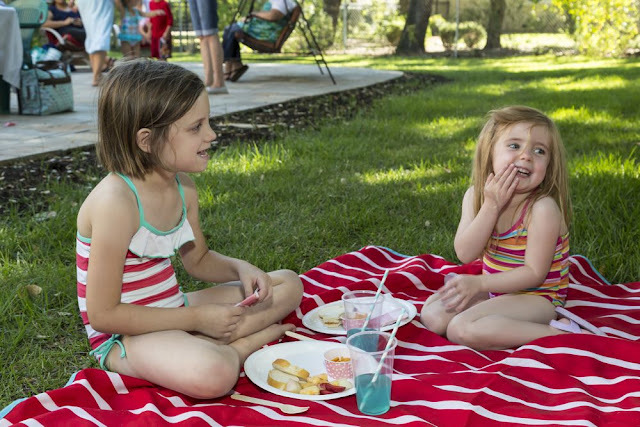 Your children will treasure those memories. Do you mind if I ask a couple of questions? First, how long does it take to plan a party like this with all the little details and thrift shopping etc and second, roughly how much do you spend on all the little embellishments that make it really special? It looks fantastic and sounds like a total blast! I can’t believe how much love and effort you’ve put into this! Very insprational – thank you so much for sharing your ideas! In particular I wanted to say that your baking skills. Are. AMAZING. Those cookies look so gorgeous, and that cake! I was stunned when you said that you made it yourself. And in my opinion, I love the way the frosting looks on it, I don’t think your frosting skills need any refining. 😉 Professionally made cakes always look strange to me covered with that fondant stuff, so I loved seeing actual frosting on yours. Again, this was all wonderful, it was an absolute joy to look at! Wow wow wow! You put so much time and effort into this. I am so impressed. The food names were SOO clever! I love it! Also, thank you so much for listing where you got things. 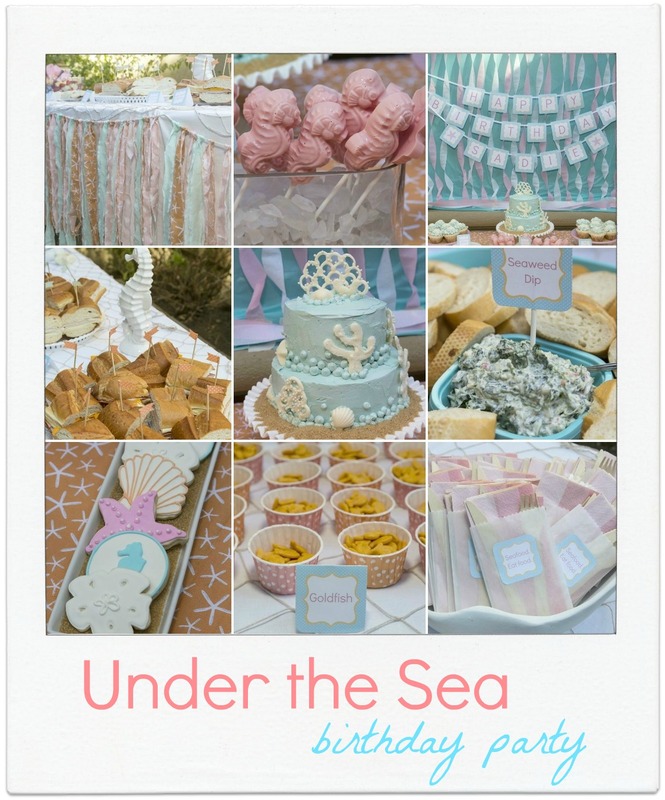 This is inspirational for my daughter’s under the sea party. 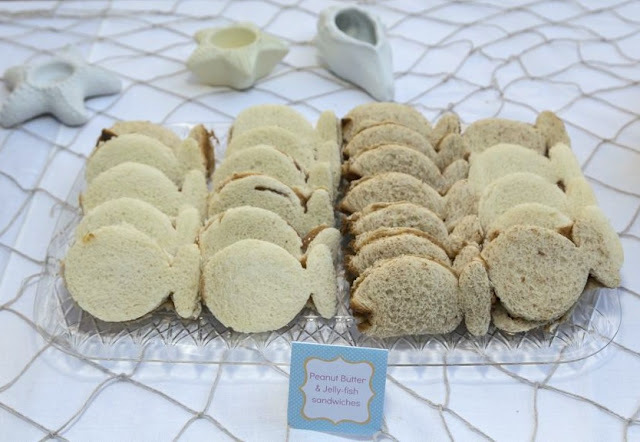 I’ve been trying to find food ideas and these are so cute! Wow! So beautiful!!!!! Thanks for the inspiration! I love the clever food name ideas so adorable! I was looking for ideas for my daughter’s under the sea party. Thank you!!! This turned out gorgous! Wish you could do this same thing for my daughter. =) You worked so hard. So cute! How did you make your party food labels and where did you get them? Thanks! You are so creative! 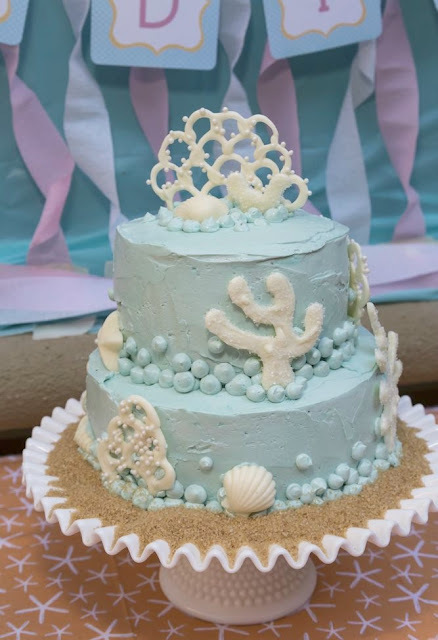 We are hosting a baby shower for my niece and daughter in law with a BEACH theme and you have provided many terrific ideas!! Thanks!! Just wanted to say I love the clever captions or play on words for the appetizers! 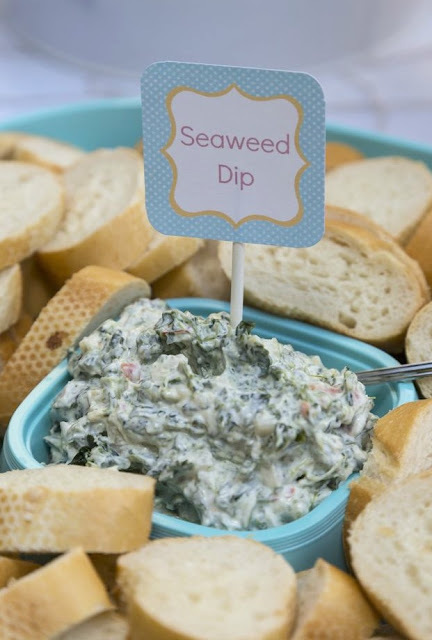 Especially the spinach dip! 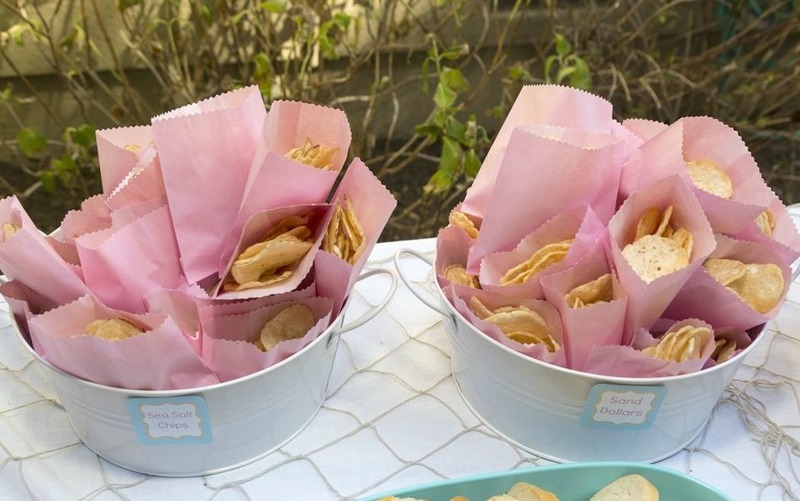 🙂 Throwing party w/same theme and did not know what to call/do with the dip appetizer, thank you! Very impressive! I love the creativity and the obvious love that you put into this. Kuddos to you! 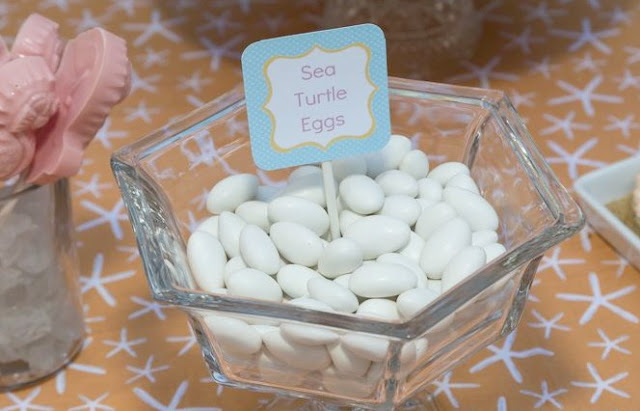 What a fantastic Little Mermaid party! The party seems to have everything an Ariel party is supposed to. Although it was created four years ago, it’s still better than many ideas on Pinterest. Well done! Great ideas! Where did you get the food labels? Or did you make them? Do you have a document you would be willing to share? Thanks!